Add the quinoa and stock to a small saucepan on medium heat. Bring it to a simmer and then pop the lid on. Leave it to simmer for about 10 minutes until all of the liquid has been absorbed. Then remove it from the heat, fluff it with a fork and pop the lid back on. Set it aside to steam while you make the rest. 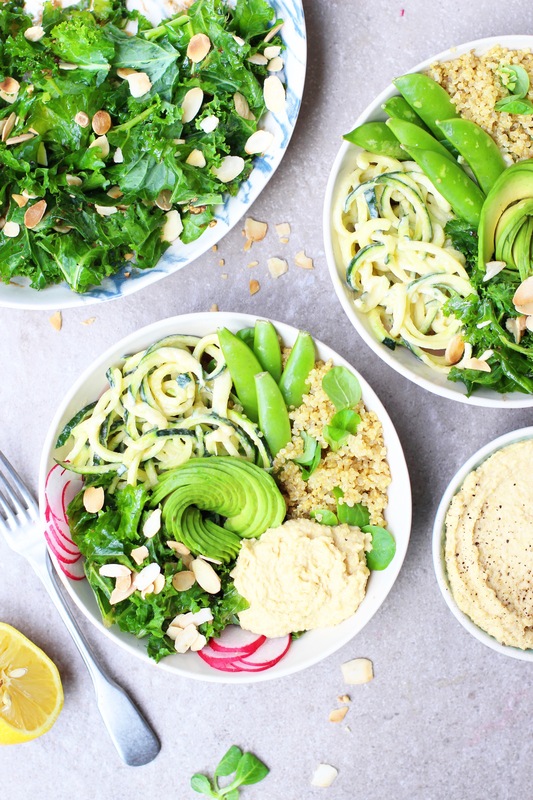 Spiralize the courgette and add it to a large bowl. Whisk together the tahini, lemon juice, olive oil and water until smooth. Toss the courgetti in the dressing. Add the flaked almonds to a pan on medium heat and toast until golden. Remove the stalks from the kale and add it to a bowl. Drizzle over the olive oil and massage it into the leaves until they soften a little. Whisk together the balsamic and dijon and toss the leaves in it. Sprinkle the almonds on top. When the quinoa has cooled a little, add the watercress to it along with the lemon juice and toss. 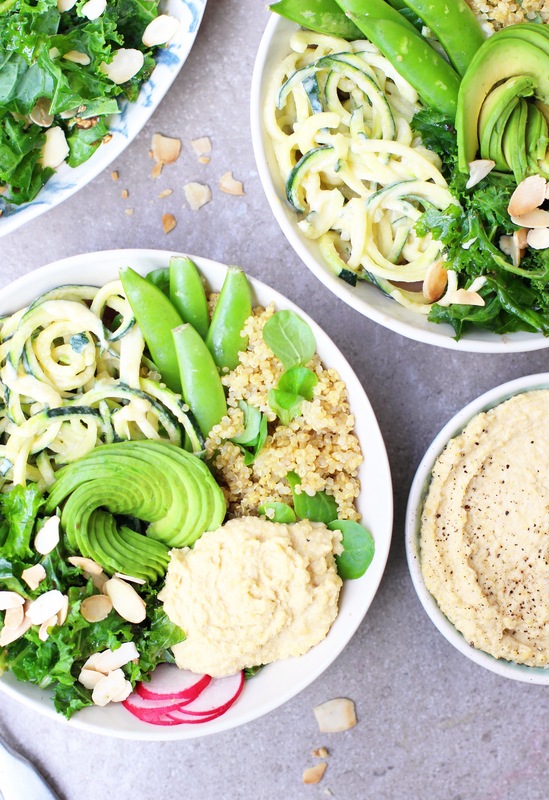 Add some of each to your bowl along with any extras (hummus and avocado are a must in my opinion!) and tuck in.